Devotees who wish to perform Ashlesha Bali, Sarpa Samskar, Nagapratishta can approach the temple office. Necessary arrangements will be made by the Temple authorities at a nominal fixed cost. 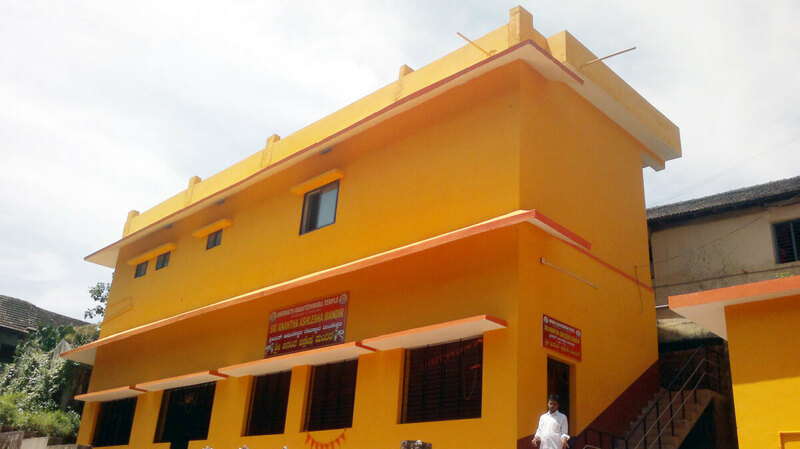 Ashlesha Mandir is a separate building for this purpose. Manjulakshetra is one of the ancient Temple of GSB Community. Since it is the Naga Kshetra, most of the GSB Community people, visit here to seek the solution for Naga Dosha. Asleshabali, Sarpasamskar,Naga-Prathista- all these Naga Pooja’s will be performed at the Temple. These Pooja’s will be performed on Aslesha Nakshatra or on Shuddha Panchami. People have gained Prosperity, Health, Children by performing this Pooja. If through Horoscope, anyone founds Sarpadosh,Nagadosh,Kalasarpadosh,then they have to do Ashleshabali at the Temple. According to Pooja Rituals, Homa,Kalasa Pooja,Mandala Pooja will be performed for thee following 8 types of Naga’s-They are Sarpa, Anantha,Shesha, Kapila,Naga,Karkotaka,Shankapala and Bhudara. In these Pooja two Mandala will be written. In the right side Nine squares and in the left side, art of Naga is drawn. The Nine boxes will be deserved for the Nine prominent Goddess. Various Avatars of Naga Devatas will be depicted in the centre of the Mandal in 52 squares. At the time of Bali Pooja,the invited Sarpa’s,Gana’s, Astadigpalak’s and Navamandal’s are as follows. Car StreetManjeshwar - 671 323.